Are you a twitter egg or a friend to all? Hello world and welcome to week twelve of my weekly blog. Okay as you all can see the title of this week's blog is are you a twitter egg or a friend to all? Pretty cryptic hey, perhaps yes but believe me this is a very important question, that I think you should all be aware of. Now let's deal with the second part of my question are you a friend to all? I think from reading my blogs over the past twelve weeks, you can tell that I emphasize the importance of being aware of who follows you on social media. 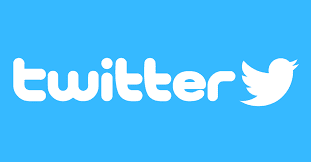 With twitter that is no less important and I often take quite some time to follow some followers back, if at all. While it's incredibly flattering to have a lot of people following you it's also makes for a very slow vetting process, but it has to be done and done well. Over the past couple of weeks I have began a very vigorous vetting process and I was honestly absolutely shocked to see how many of you have been following back some very dubious followers. Please, please, please, don't automatically follow people back, you're not only putting yourself at risk, but you're also putting your followers at some degree of risk as well. after all you're making your follow list totally viewable to that person. Until over a week ago I had over 3300 followers that number has already dropped by nearly a whopping 200 followers, as I cull followers that I have genuine concerns about and I'm not finished. I certain that I will drop below 3000 followers by the time I'm finished, so that's hundreds of accounts that could quite easily cause me and my real followers some trouble and I would much rather avoid that, wouldn't you????? Okay my zoho inbox has been a little lite on email news this week, but I can tell you that Steven Jones & Logan Sky, have just let me know their busy filming a new video this weekend and equally the Tenek guys are about to release a new video and are hard at work on a new EP, so keep an eye out for both from the two bands. Also as always to all the bands and labels out there make sure you send me news for any upcoming shows and/or music releases each week. Keep in mind the blog is posted every Saturday, so if you could send me the details by Wednesday each week that will be a great help. As with any music or news you send me, please use my email address of skerat@zoho.com Also again to every band, artist and followers alike, please send me your sound files for the show, saying who you are and where you are from and that you're listening to Skerat's Eclectic Podcasts. You can find all of these brilliant tracks and many more on my ever growing Skerat's Eclectic Playlist, a perfect blend of great classic tracks, in combination with totally new tracks from my shows. Hello world and welcome to week eleven of my weekly blog. Blog block, blog block, blog block, what was I going to write about this week.... thinking, thinking, oh yeah that's it, sincerity, gratitude, keeping up and too many social media options. Many of you who follow my show and it's various pages, will no doubt know my main avenues of music play and music promotion are through, Mixcloud, Facebook and Twitter. These three are very mainstream mediums and capture a good audience, but of course everyone has their preference and some may only use one of these mediums. That is why it is always important to have a few mediums covered if your doing something like music promotion. I often see artists complain that they get very low interaction from people on Facebook and some go as far as closing their accounts on Facebook. However I believe in truth Facebook is the place that often leads fans to to your webpages and other social media sites, so I strongly urge you not to discount it. I know I use it for that purpose constantly. Of course if you're like myself and you have more than the three pages, than the reality means it will create a lot of work for you. Over the years I have spread myself across many social media avenues, Mixlr, Soundcloud, Reverbnation, Internet Archive, Podomatic, Google Plus, Youtube, and the list goes on and on. Some of these I still actively use, like Youtube. 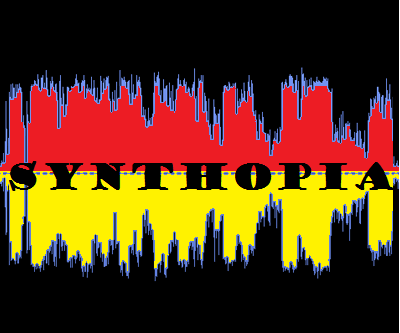 In fact if you get the time you should check out my Synthopia playlist on Youtube. It features bands and artists that I have played on both of my shows and while I focus on that. If I have played you on my show and you have videos that you do want put up on the playlist, please let me know. Now the more you spread yourself across the social media platforms, the harder and harder it becomes to keep up with all your followers. For me being very sincere and thankful to all your supporters is extremely important. However the more I do to promote the music the harder this gets and hopefully here on my blog or my shows saying thank you to all than bands, artists and fans, helps to go some way there. Thank you for all the songs, the retweets, the likes, the listens, the listens, the messages, the fun and all of the amazing friendships. All of this is what drives me every week to keep going and in turn keeps the show alive and kicking :) To all those music friends that I have not messaged in ages, don't worry you're all still very important to me and I still follow what you're all doing as much as I can. 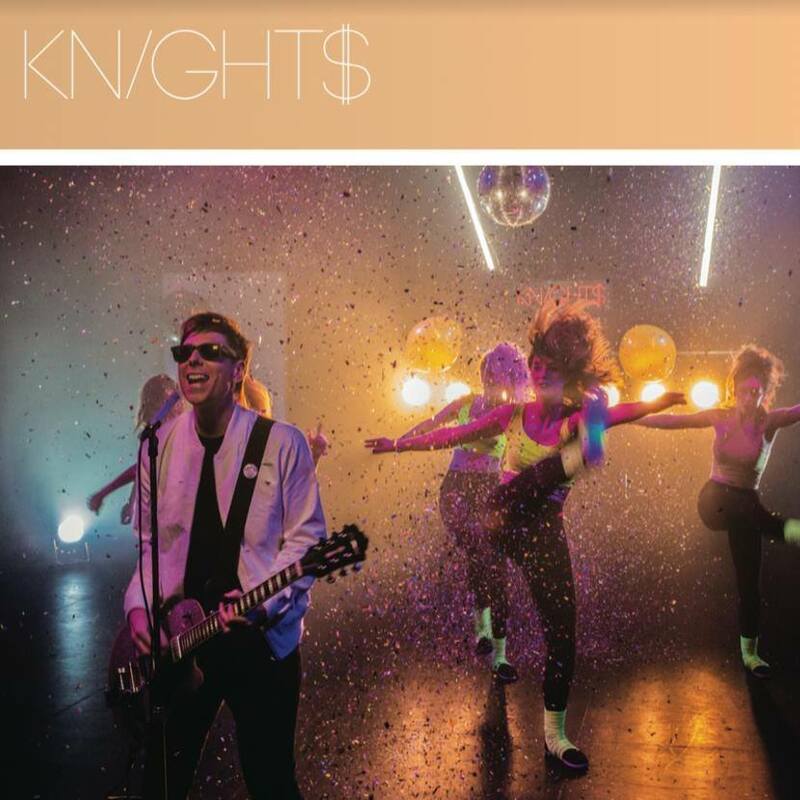 KNIGHT$ is a UK artist with a knack for penning some memorable electro anthems. Whether with a full band or simply stripped back with a pianist, KNIGHT$ delivers. With one foot firmly in the present, and a discerning knowledge of music’s past, KNIGHT$ might just be the newcomer to occupy your sound system into 2017. Cutting his teeth in projects such as Scarlet Soho and Boytronic, KNIGHT$ has made a name for himself. Previously touring Europe alongside Zoot Woman, IAMX and The Faint, he’s also headlined The Under The Sky stage at the Montreux Jazz Festival in Switzerland, and co-wrote the lead track for the German movie Bauernfrühstück in 2011, where he duetted alongside German classical vocalist Isgaard (Schiller). KNIGHT$’ started working on the tracks What's Your Poison?, So Cold and What You Leave Behind in 2016, alongside producer Martin Dubka (Tesla Boy/Tyson/Ali Love) in Hackney, London. Even after a short time in the studio Dubka and KNIGHT$ developed an almost telepathic understanding. It was clear the initial tracks needed to be concise, with super strong stick-like-glue melodies. KNIGHT$ would programme the midi, with Dubka working overtime, patching in an array of vintage analogue synthesizers and getting the sounds just right. They would occasionally stop for coffee, listen to “Time To Move” by Carmen, and swiftly move on. By the time they were finished, KNIGHT$ knew he had something pretty unique on their hands! KNIGHT$ holds undeniable magnetism live, but there’s a palpable substance to all he turns his hand to. Just when you think you have this guy sussed, he will offer you something different, something you never saw coming. It’s pop Jim, but not as we know it! LIMITED EDITION (250) FOUR TRACK ORANGE VINYL EP/CD/DOWNLOAD AVAILABLE from KNIGHT$ bandcamp. Also as always remember bands and labels out there make sure you send me news for any upcoming shows and/or music releases each week. Keep in mind the blog is posted every Saturday, so if you could send me the details by Wednesday each week that will be a great help. As with any music or news you send me, please use my email address of skerat@zoho.com Also again to every band, artist and followers alike, please send me your sound files for the show, saying who you are and where you are from and that you're listening to Skerat's Eclectic Podcasts. 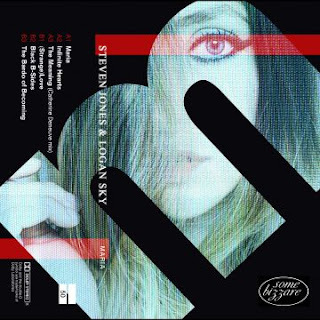 and remember this months show of Skerat's Eclectic Podcasts can be found here and while you're there maybe even check out some of the older Synthopia shows :) Maybe even vote for my show in the Mixclouds Online Radio Awards. Well that's it for this week, thank you all for your continued and excellent support and until next weekend this is Skerat over and out. Interviews and why don't I do them? Hello world and welcome to week ten of my weekly blog. This week I'm going to tell you why I don't do interviews, for the acts that I play. Every once in awhile I get asked by bands, artists or their managers, if I would be interested in doing an interview with them. I will always politely say no and try to explain as best as I can why not. However sometimes when you are suddenly asked a question like this, you find that sometimes your explanation can become a little convoluted. Okay so why don't I do them then? The primary reason is that when I started out doing these shows, I had to set some type of format that I wanted to work with. The initial thoughts were should the show just be purely music, should I talk a little, or talk a lot, should I do interviews. I very quickly came to the decision that the show should strictly be about playing the music and utilizing every minute to do so. With me doing short hopefully unintrusive into's at the start of each track. This was to give the listeners the details they would clearly want to hear about the tracks and to give the show a little bit of a personality. This meant that there would not be excessive talking by me and interviews were not going to be part of my format. This decision for me was made even more concrete, by the fact that my timezone was very much at odds with most of the acts that I was going to play, so interviews would be tricky. Once I had made this decision, I felt it was very important to stick to it for show consistency. Of course I will still get asked, every once in awhile. After all the acts quite rightly need to investigate every possible avenue for exposure, but again for consistency I will say no. I strongly believe that if I were to do it once, then that's when I have decided that I will keep doing it and at this point that is not part of my plans. I don't want to have the situation where I say no to one act and yes to another, because clearly the other act will be asking why? Still as I said that is not part of the plans for now, but in the future who knows. It is still quite possible that one day, if I ever have a less demanding day time job, that I might expand on my shows and do interviews as well. Okay last week I asked, who are you and where did you come from? This is a permanently ongoing thing and I will really love to hear from you. I want to hear your stories about when, why and how you followed me, what do you love about the shows and what's your part of the music story. Are you a happy listener, a band sending me tracks (did I give you your first play), a label or a promoter. I would love to hear all your stories and share some tidbits in the blog, so send them through to my email address of skerat@zoho.com after all this is a great opportunity for you all to help build and shape this blog. I have already had some great feedback on last week's post. Cheryl and Bevan from Vague Notion, told me how Geoff from Tenek mastered their first EP and how he did a fantastic job! They too agreed Both Pete and Geoff are great guys. I was very pleased about this one, as at the time I had suggested to Cheryl, that Geoff would be a good person to go to for their mastering. It's a great example of how close knit we all are and how we can all help one another. Blott who is Geoff Martin, also had some great feedback on the guys from Tenek - "Yes those Tenek guys are great ambassadors for the independent synth scene and a cracking bunch of guys too. Geoff produced Things Will Never Be The Same and was very good to deal with." Flip Martian AKA Phil Marsh was also keen to know how much Pete and Geoff paid me to say nice stuff about them. Oh that reminds me, guys have you sent the cheque yet? and Phil also answered the Where did I come from question... "I think I joined your FB group many moons ago to see if there were any good songs to play on my own radio show back then - your show was one of several sources I used to find new stuff. Can't remember who I found now but I'm sure there were a few"
Also as always remember bands and labels out there make sure you send me news for any upcoming shows and/or music releases each week. Keep in mind the blog is posted every Saturday, so if you could send me the details by Wednesday each week that will be a great help. As with any music or news you send me, please use my email address of skerat@zoho.com Also again to every bands and followers alike, please send me your sound files for the show, saying who you are and where you are from and that you're listening to Skerat's Eclectic Podcasts. Hello world and welcome to week nine of my weekly blog. Who are you and where did you come from? Now what sort of question is that to kick off this week's blog, you ask? Well stick with me and I will explain. I have now been doing my music shows for four years and during that time I have met a lot of brilliant and incredibly generous people. Over that time they have not only listened to my shows, they have also followed my various pages promoting the music. Those of you who were there in the early days have seen quite a few changes and some of you were the incredible support I needed when I was starting out. One of the great examples of this early support was Pete Steer from Tenek. Somehow Pete got wind of my early ragtag shows. From memory I think he actually listened to the very first show and after that show he very kindly offered me the opportunity to play a bucket load of Tenek tracks. By show three I had so many Tenek tracks from the guys, that I decided to make the whole of show three a Tenek special. The show was a great hit, not only do Pete and Geoff put out great music, they're also very well liked in the scene. This meant the show had generated a fair bit of interest and gave me that very much needed little push along, to get some early interest in my show. While most of my 1radio shows are not uploaded to mixcloud, the two early Tenek specials still are. Therefore if you're curious, check them out here Synthopia Three and here Synthopia Twenty, but please ignore the very nervous and amature live DJ, just starting out ;) The great thing about Pete is he not only helped organize, to send me lots of great Tenek tracks via their band PR Manager Cheri Freund, who has also been a great supporter and fantastic friend since those days. He also given me a few crucial little bits of advice, that helped set me in good stead for the show. In addition to this he also put the word out at the time, to other bands about me. This in turn gave my music roster some real depth and fantastic impetuous, to grow. Of course I am incredibly thankful for what Pete did, to help me when I was starting out. Of course in turn, I do whatever I can to promote the guys. Be it be by airplay, retweets, referring bands to Geoff's mastering service (which is brilliant, if you need some mastering), etc. Now in our scene it is these very kind selfless acts that really help us all and I'm very heartened every week by many of examples of it. Unfortunately and very rarely the odd person does go against the grain and it becomes all about what they want to do or archieve. To those people I say please make sure you realize that you're part of a scene that is something much bigger than you and that it is something very special. Right now a reminder bands and labels out there make sure you send me news for any upcoming shows and/or music releases each week. Keep in mind the blog is posted every Saturday, so if you could send me the details by Wednesday each week that will be a great help. As with any music or news you send me, please use my email address of skerat@zoho.com Also again to every bands and followers alike, please send me your sound files for the show, saying who you are and where you are from and that you're listening to Skerat's Eclectic Podcasts.